Allergic Rhinitis - Effective treatments for allergic rhinitis using acupuncture! Can acupuncture help Allergic Rhinitis? Allergic rhinitis help is here! Acupuncture has shown to be an effective intervention in the treatment of allergic rhinitis (1). Acupuncture has been used for many hundreds of years in the treatment of allergies and allergic rhinitis, but now recent research is scientifically backing-up what we have seen for many years – that acupuncture can help treat the symptoms of allergic rhinitis (1). So, when we are asked if there are natural therapies for the treatment of allergic rhinitis, we can confidently say that acupuncture has been recommended as an effective intervention (1). So, what is Allergic Rhinitis? Well, you may have heard it referred to as hayfever also. It is essentially inflammation within the nasal passages caused by allergies. What are the causes of Allergic Rhinitis ( hayfever )? Typically, the causes are things like pollens, dust mites, pet dander, mould spores, contact with grasses etc. I think we’ve all had an episode where we’ve been moving house or having a spring-clean where we suffer an acute attack of hayfever? For some however, chronic hayfever can be incredibly annoying; affecting sleep, exacerbating asthma and sinus. How can acupuncture help your chronic Hayfever? Acupuncture has been shown to help allergic rhinitis and hayfever sufferers through its anti-inflammatory effects (2). A diagnosis is made according to Traditional Chinese Medicine (TCM) . When we make a diagnosis in TCM, what we’re really doing is looking for a ‘pattern’, based on your signs and symptoms. Your hayfever may in fact be presenting in a different way to your best friend’s hayfever – so we would say your ‘pattern’ is different. Once we have a pattern, small needles are used at specific points on the body which are appropriate for that pattern. Acupuncture is relatively painless and involves very little effort on your part! Once the needles are applied, you have the chance to relax quietly for 20-30 minutes. You can read more about acupuncture and Chinese Medicine by clicking on these hyperlinks. 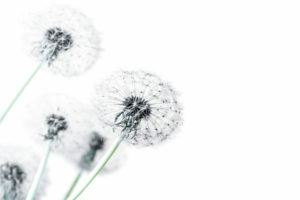 If you would like to explore the use of acupuncture to help reduce the symptoms of allergic rhinitis / hayfever, then please give us a call in the clinic on 3357 3205. If you would like a copy of some of the most up to date research confirming acupuncture’s effectiveness across a wide range of illnesses, please click through to our association’s website and download a copy of the “Acupuncture Evidence Project”.